Some days ago, an interesting study has been published in “Psychological Science”. The authors showed that the common over-the-counter pain reliever paracetamol counteracts the belief-affirming effect of anxiety. Participants who took a placebo showed the familiar response pattern in the “prostitution paradigm”. They suggested a harsher penalty for the prostitute under mortality salience (a bail of around $450) compared to a control condition (around $300). Participants who took paracetamol, however, didn’t react on mortality salience. Independent of what they had reflected on before, they suggested the same penalty for the prostitute (around $300). Paracetamol seems to have reduced the fundamental anxiety participants felt due to the mortality salience manipulation, so they didn’t have to affirm their moral beliefs that strongly. In a second experiment, the same effect of paracetamol was shown using a different disturbing experience (a surrealistic movie instead of mortality salience) and a different measurement for belief affirmation (a fine for rioters instead of a bail for a prostitute). Hence, besides killing physical pain, paracetamol seems to be capable of counteracting the effect anxiety has on our moral reactions. From a scientific perspective, this certainly is an interesting finding. But what can we make out of it from a practical ethics perspective? If we want a person’s moral reaction to be the result of cognition rather than emotion, paracetamol could be a means for bias reduction. However, some people might argue that in case a person’s moral belief is the “correct” one, wanting transgressions to be punished comparatively severely might not be such a bad thing, even if the motivation for that is anxiety. What do you think? Wow. Now that was interesting. I’ve been having an anxious moral reaction just today, and there’s clearly a circular process: moral outrage prompts anxiety prompts moral outrage, so the idea that moral reactions could be enhanced in this way makes sense. I think the example you’ve given (prostitution) is unfortunate because – in-my-humble-opinion – the moral outrage in that instance is totally misplaced, but the idea that something relatively mild like paracetamol could have a measurable effect is actually quite worrying: at any given time a lot of people are taking paracetamol. I assume that if paracetamol can do this then other analgesics might have a similar effect, say opiates? And how about soma? OK, that one doesn’t exist, but anything that could be used to manipulate human psychology strikes me as potentially sinister. Oh dear, if you’d said that in the first person “if I want my moral reaction…” that would be one thing, but the way you have it it looks a little Brave New World! I would want to know if societies in which there is a great deal of soci0-economic pressure–real threats to subsistence or livelihood–are ones in which persons made harsher moral judgments than those in which such pressures are far less. This seems like the sort of study that can be complimented by natural experiments in the wild, and be given a much richer psychological content with real-world social implications about how punishments systems (formal and informal) should be compared and evaluated. Or maybe we all just need airdrops of soma (or klonopin)–kidding! 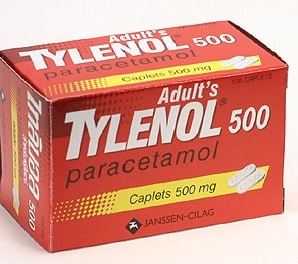 Perhaps supermarkets could start doing a ‘buy a tabloid newspaper, get a free pack of paracetamol’ sort of deal. Are moral, cognitive and emotional biases part of our personalities or identities? If so, does that have any implications for whether we try to change other people’s biases? And even if the moral view is the correct one, AND if we could know it were the correct one, is severe punishment always appropriate? I don’t know how painkillers work, but if one takes a pill for a headache, does all the drug get used up on combatting the pain or can it work on more than one thing at once? If not, then perhaps this effect only occurs for people taking them when they don’t need them. No doubt there are some readers more knowledgeable than I that can help?